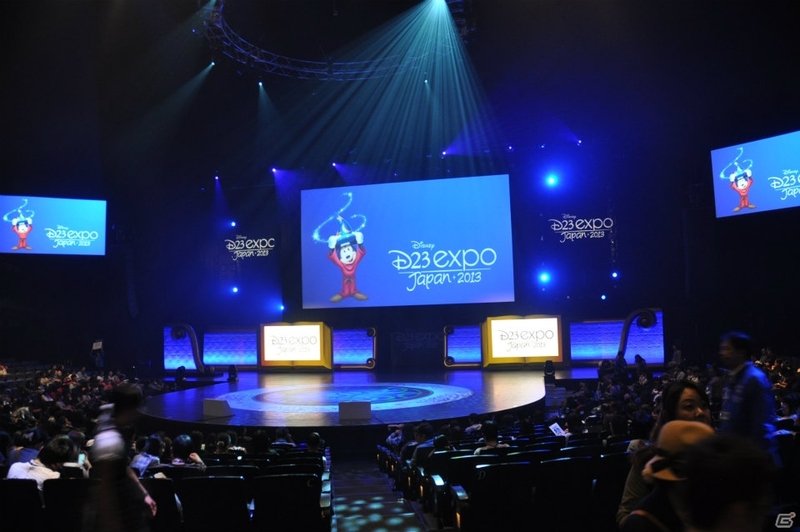 It's been an unforgettable week, what with all the incredible events that took place at the first D23 Expo Japan, and the announcements made for the worldwide Kingdom Hearts community. The series's second HD remaster, Kingdom Hearts HD 2.5 ReMix, was announced for the Playstation 3 to be released in 2014, and we received a new trailer for both 2.5 and the illustrious Kingdom Hearts III. 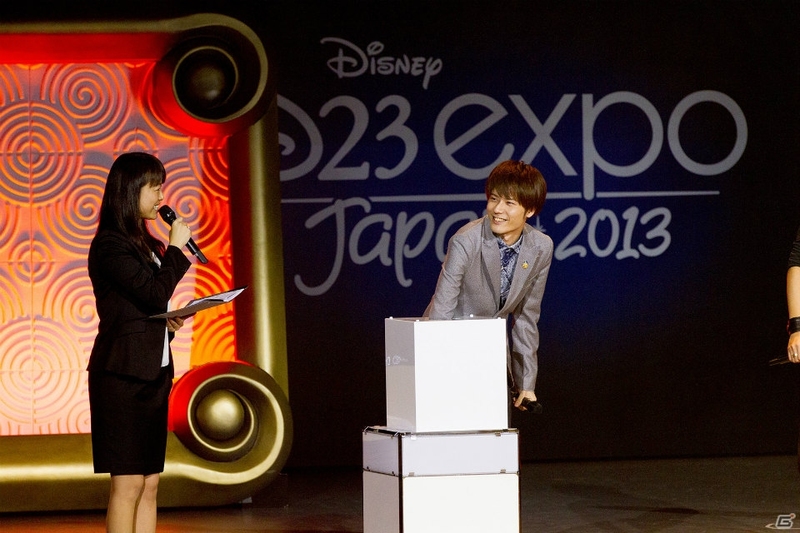 It's a lot to take in in such a short amount of time, so let's wrap up D23 with a final interview and summary from the event, courtesy of Gamer.jp. Many thanks to Zephyr for the translations! Tetsuya Nomura, Miyu Irino, Mamoru Miyano, and Kouki Uchiyama are telling their untold stories of their time during the development process? The KINGDOM HEARTS III trailer shows off Sora with new moves! 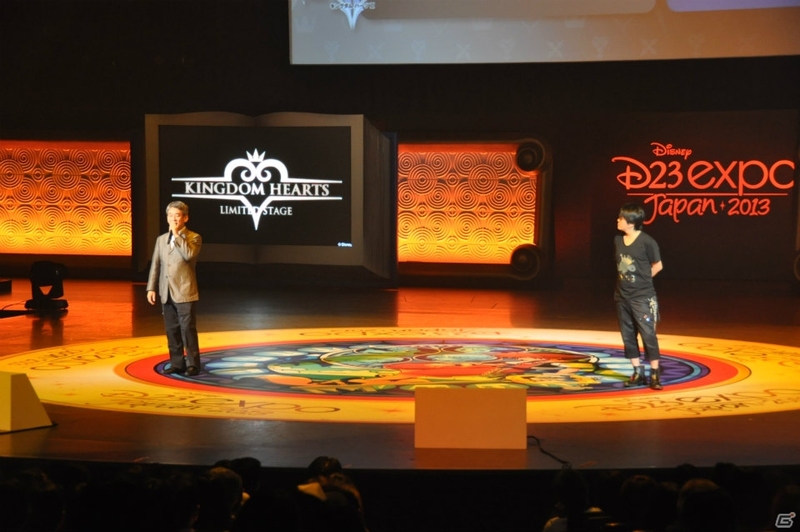 In October 14, Square Enix held the KINGDOM HEARTS LIMITED STAGE in D23 Expo Japan at Tokyo Disney Resort concerning the latest information and voice actors that were invited for talk shows. 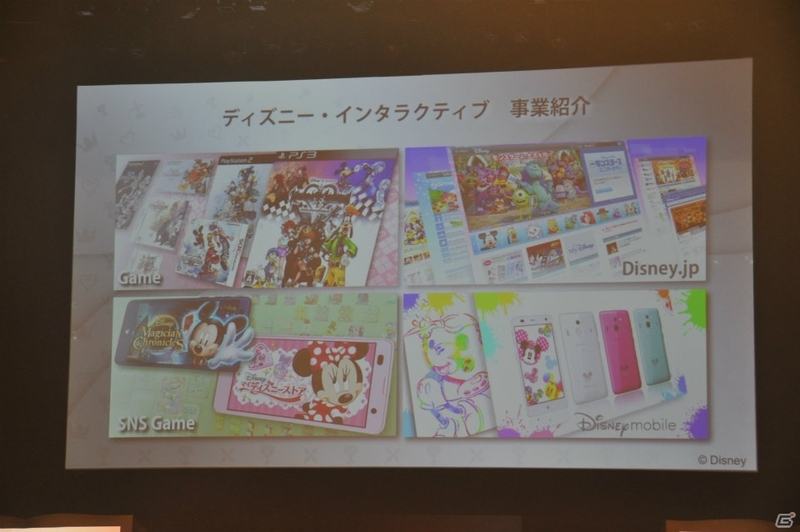 The announcement of KINGDOM HEARTS HD 2.5 ReMIX was also released. 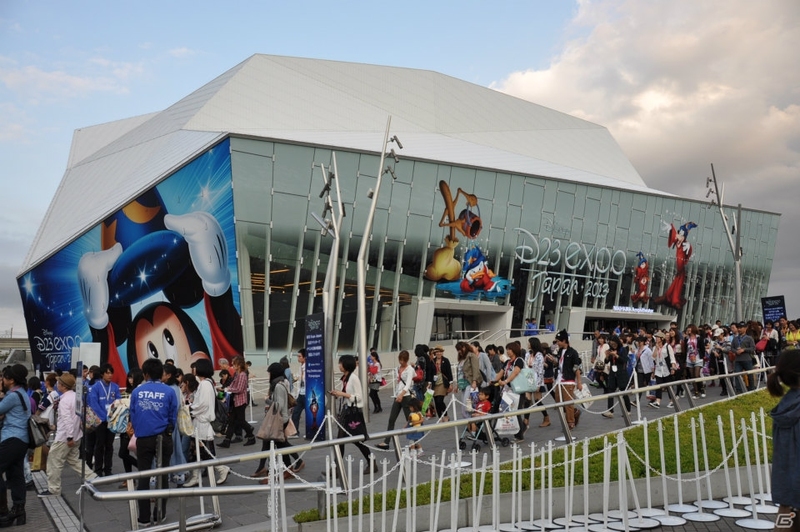 Sponsored by Walt Disney Japan, you can experience a variety of special events to commemorate for Tokyo Disney Resort’s 30th Anniversary and the 90th Anniversary of Walt Disney Co. from October 12~14, 2013. 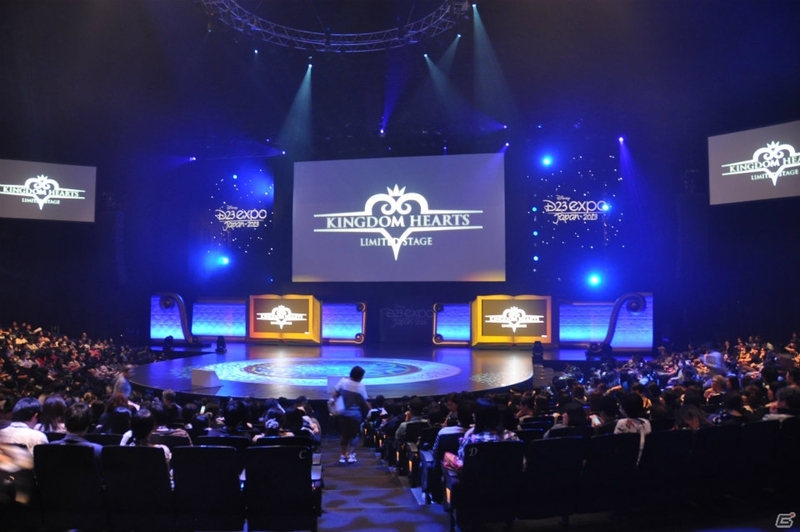 Held in Maihama Amphitheatre October 14th, the KINGDOM HEARTS LIMITED STAGE is a fan event for KINGDOM HEARTS, a popular game series born from Disney and Square Enix, shipped more than 19 million copies. 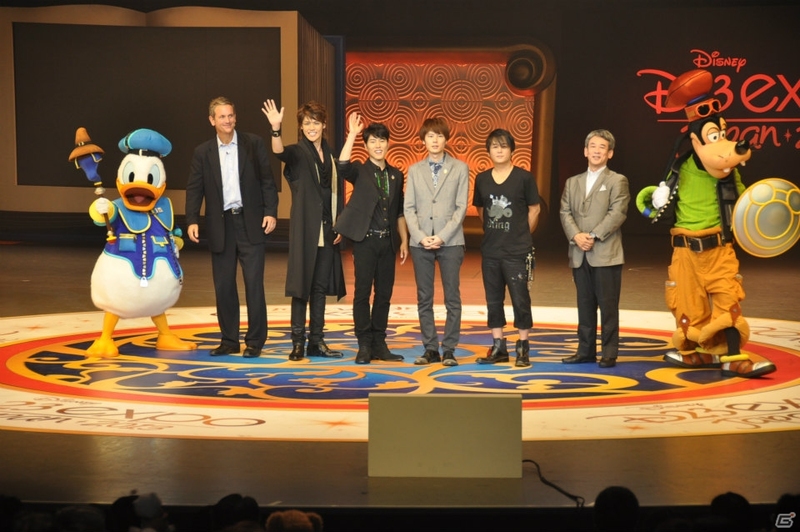 Director Tetsuya Nomura, Executive Producer Shinji Hashimoto, and familiar voices from KINGDOM HEARTS such as Miyu Irino (Sora’s role), Mamoru Miyano (Riku’s role), and Kouki Uchiyama (Roxas and Ventus’s role) make an appearance. 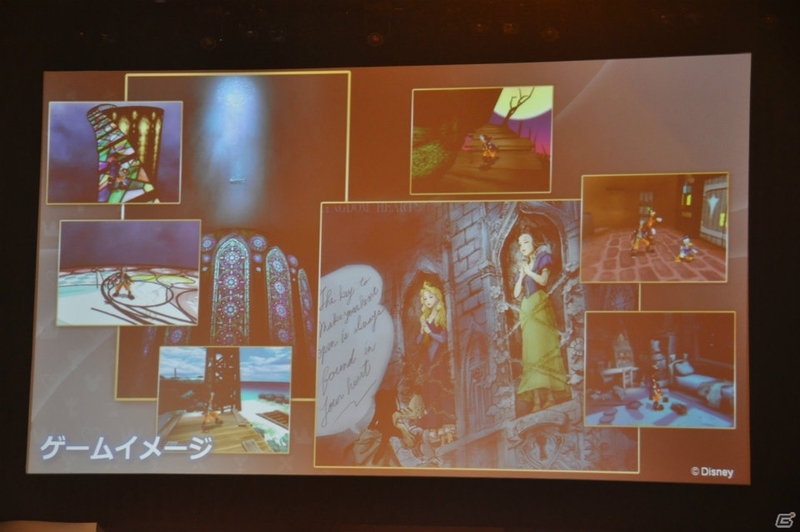 They held talk shows, shared behind-the-scene stories during KINGDOM HEARTS’s development, and events. They are valuable experiences that can only be enjoyed at this venue. 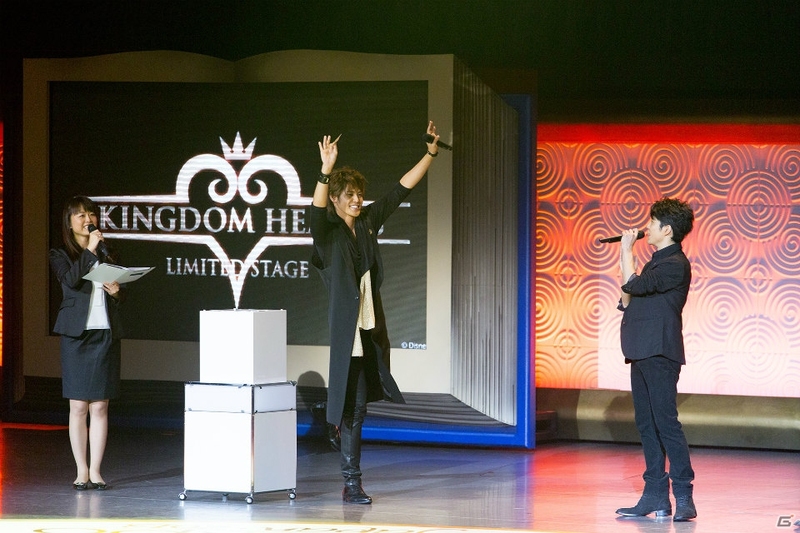 Fans that attended the event filled the venues and a familiar Keyblade from KINGDOM HEARTS descends from above before the directors appear on stage. The venue was filled with excitement. 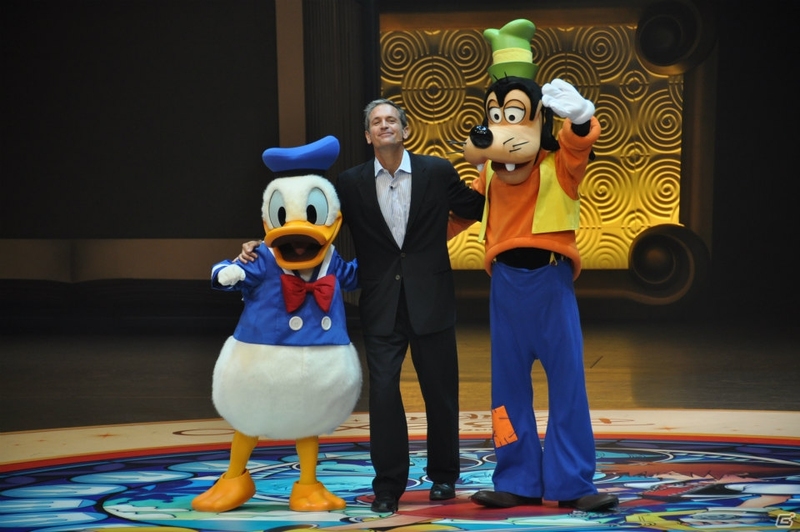 John Pleasants, Co-President of Walt Disney Co., appeared with Donald and Goofy at the center of the stage. 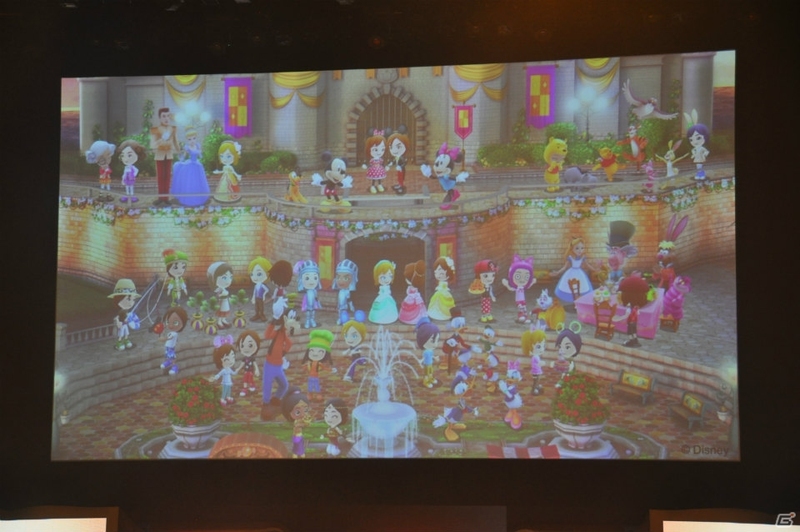 He thanks his visitors and briefly describes the nature of their business in Disney Interactive. 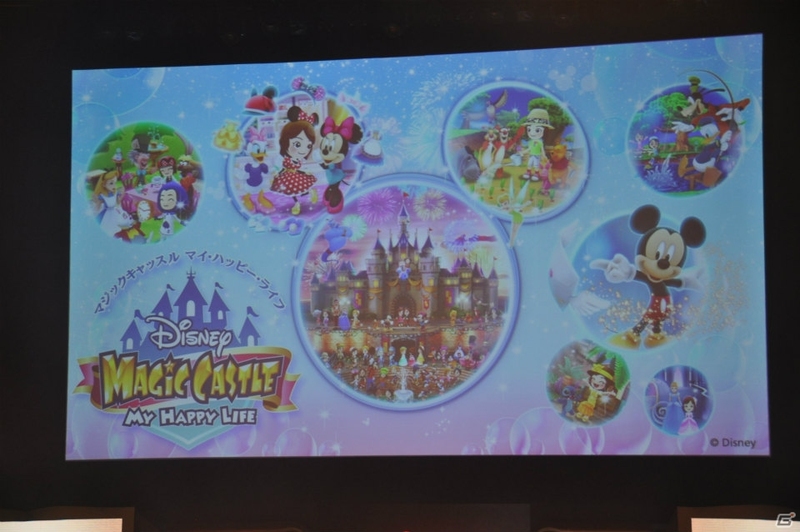 Disney Magic Castle: My Happy Life is now on sale for the Nintendo 3DS. It began selling in August and became part of the top sales in Japan. It was highly praised by fans and the media. 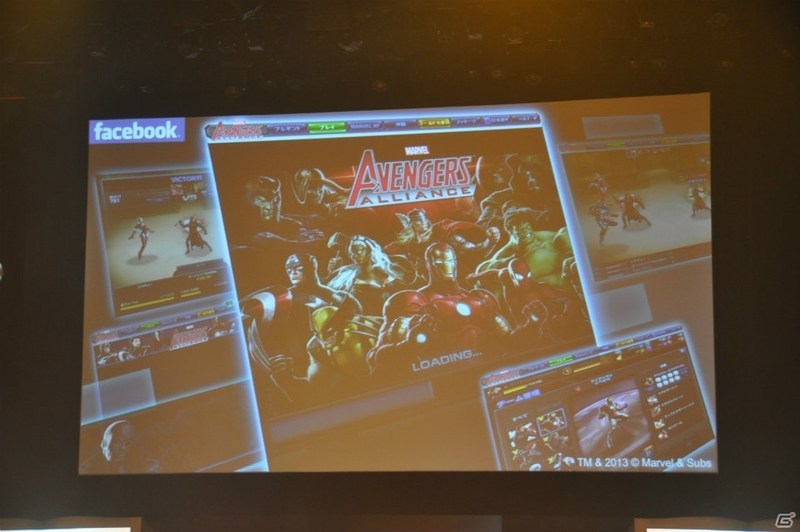 He also mentioned that it’s expected to be launched next year in North America and Europe. 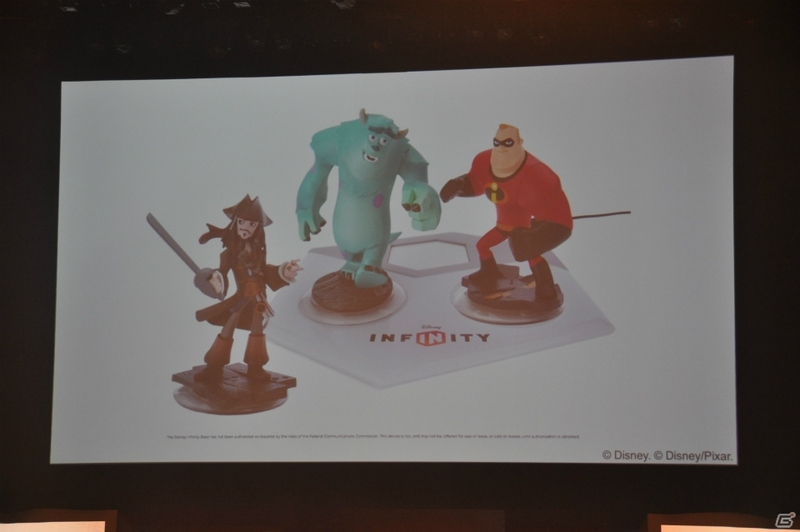 Another game that went on sale August 2013 was Disney Infinity in North America and Europe. Disney Interactive wanted to create a game that wasn’t hindered by the limitations of reality and brought a sense of childhood excitement when playing with toys. It is scheduled to be released on November 28 in Japan. 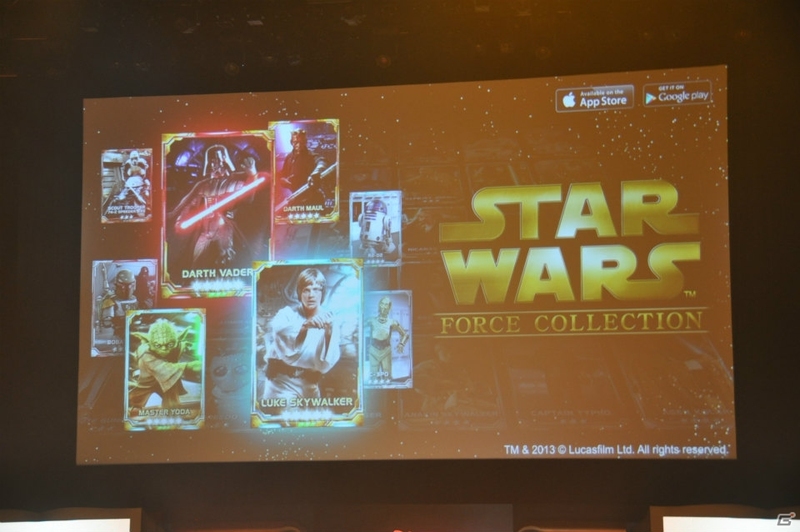 Disney, merged with Star Wars and MARVEL which also have many famous characters, is currently developmenting game collections for them. 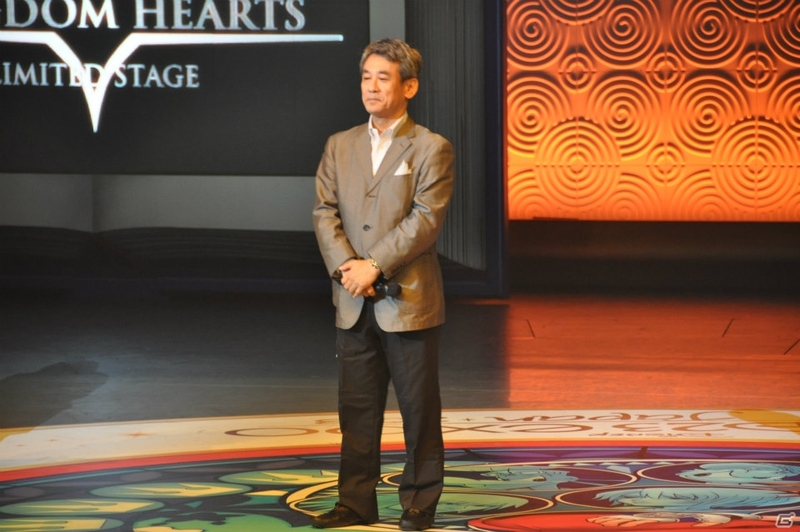 It then followed by the appearance of Square Enix’s KINGDOM HEARTS series with Executive Producer Shinji Hashimoto, and the KINGDOM HEARTS series director, Tetsuya Nomura, performing a speech about the history of KINGDOM HEARTS. Released for the PS2 on March 28, 2002, the first game KINGDOM HEARTS was released about ten years ago. 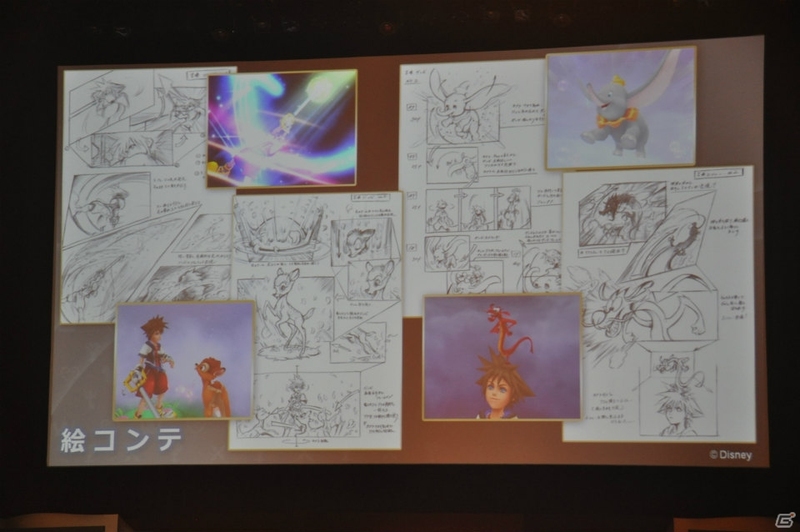 Early concept and development stage sketches and storyboards were also shown. According to Nomura, Square during that time never really created an action genre game and the production team had strongly planned on this decision. The first trailer was released in 2001. 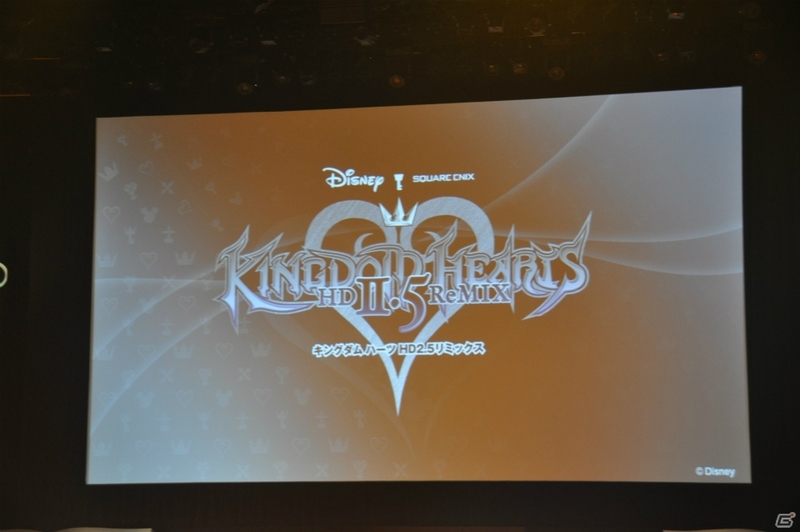 Currently playable for the PC Browser, KINGDOM HEARTS χ [chi] updates with new content periodically and Mr. Nomura mentions it’s a game that can easily be enjoyed by fans. Essential for keeping up with the series, KINGDOM HEARTS II, subsequently after comes KINGDOM HEARTS Re:coded, and the origin of the series is drawn in KINGDOM HEARTS Birth by Sleep are three games that can be enjoyed in KINGDOM HEARTS HD 2.5 ReMIX was announced. KINGDOM HEARTS HD 2.5 ReMIX includes three games: an HD remaster of KINGDOM HEARTS II FINAL MIX, an HD remaster of KINGDOM HEARTS Birth by Sleep, and HD remastered footage of KINGDOM HEARTS Re:coded. It is planned for a 2014 release date and the price and rating has yet to be determined. News articles were published October 14th. 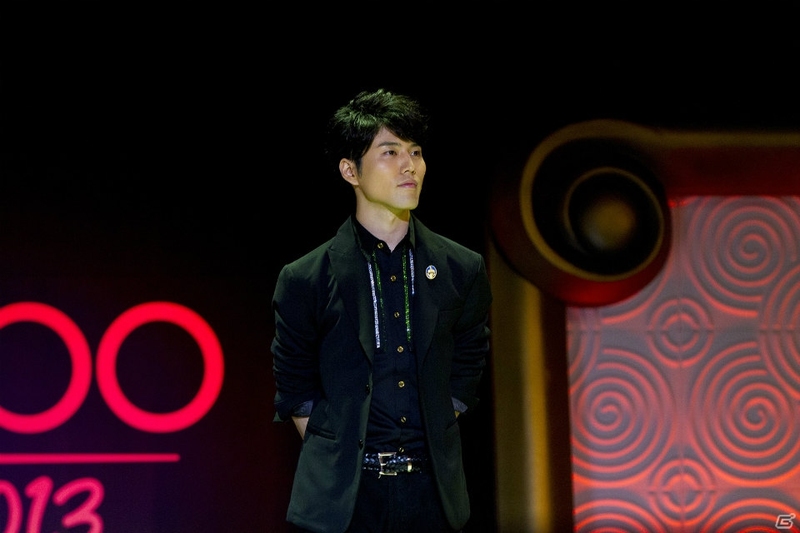 Miyu Irino, Mamoru Miyano, and Kouki Uchiyama make a guest appearance! 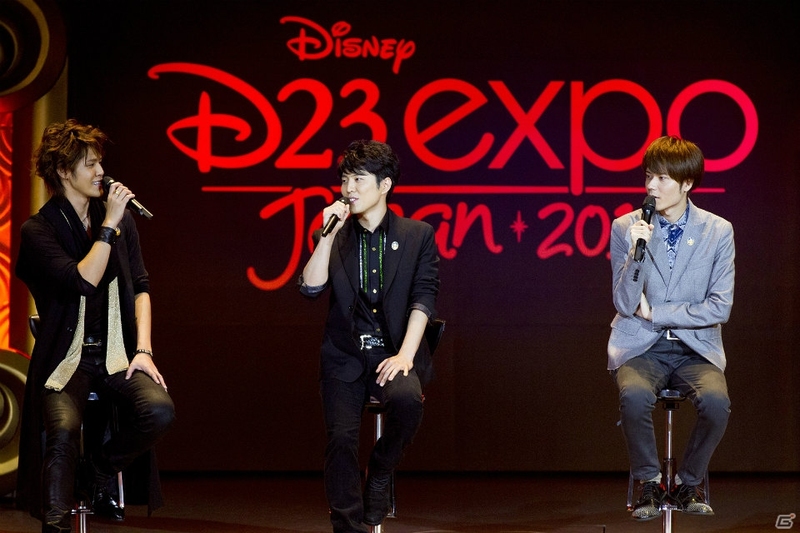 Special guests such as Miyu Irino who voices the main character Sora, Mamoru Miyano who voices Riku, and Kouki Uchiyama who voices Roxas and Ventus are holding a talk show. 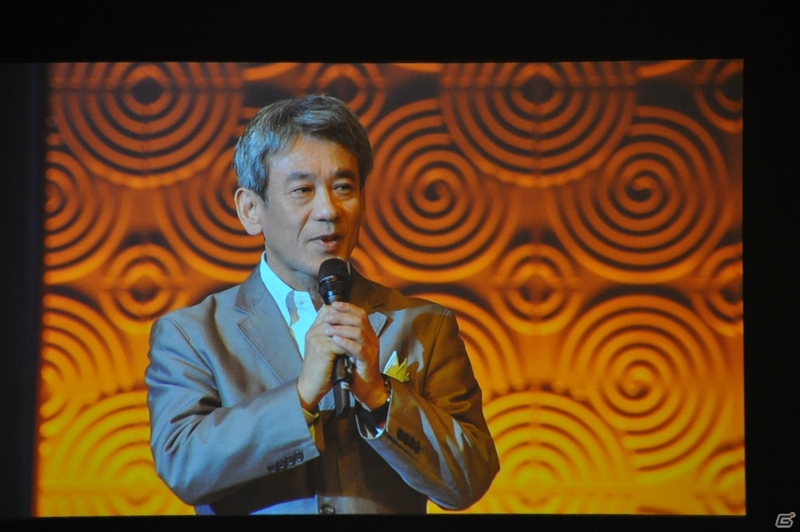 Mr. Nomura also participated to talk about memorable scenes and the appeal of KINGDOM HEARTS. 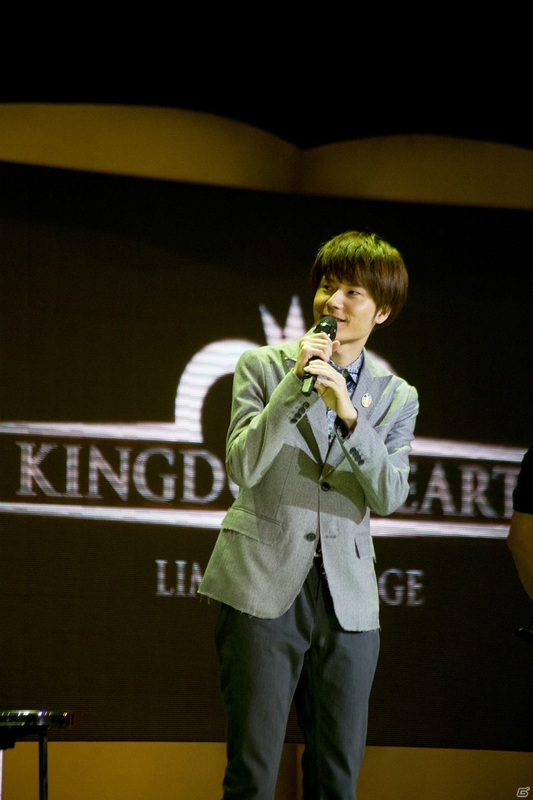 Miyu Irino chose the scene where Sora yells “Kingdom Hearts!” to Ansem at the end of the game. 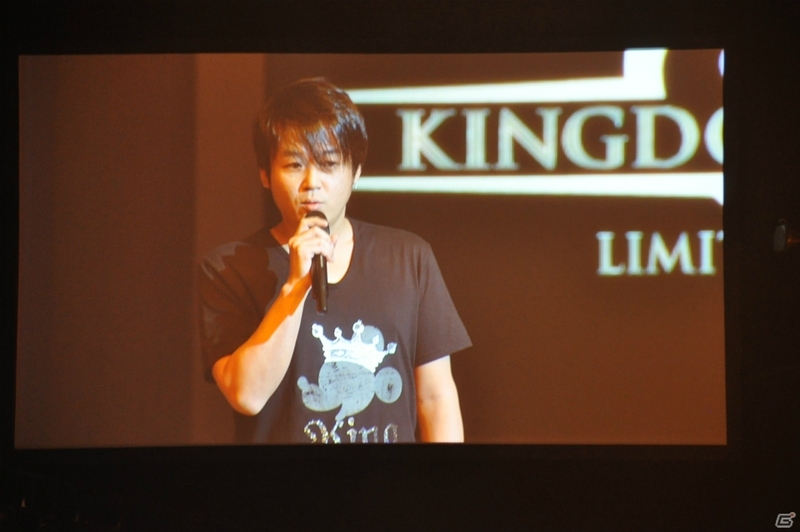 Sora says, “I know now, without a doubt, Kingdom Hearts, is light!” Miyu Irino speaks about Sora’s cute voice during that time since his voice seems to have changed now. Uchiyama chose an emotional scene in KINGDOM HEARTS II where Roxas says, “Looks like my summer vacation is… over” to Sora. When Uchiyama was in eighth grade, he had received such a large response for that scene. - Did each of you enjoyed playing your roles? 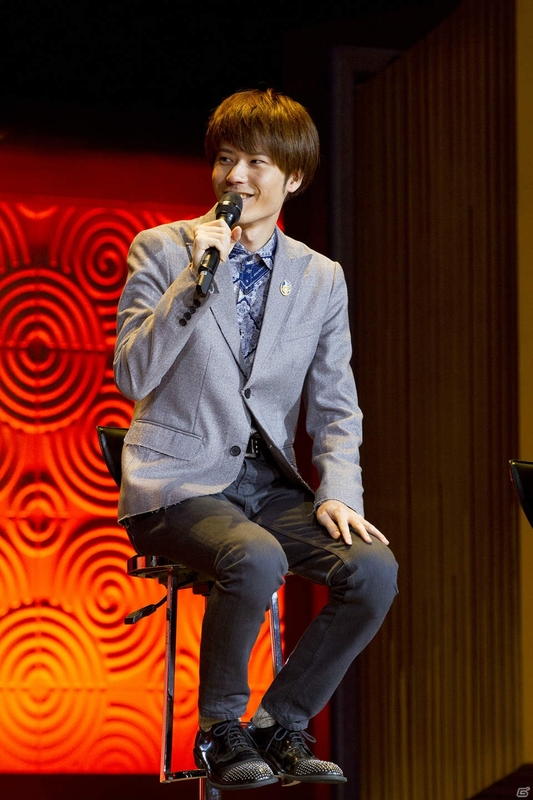 Miyano: When I started voice acting, I was dubbing them left to right without thinking although I had a great time voicing scenes where Sora, Riku, and Kairi were together. I thought Riku was a very cool guy! (laughs) He had mature facial expressions and gestures that were great. 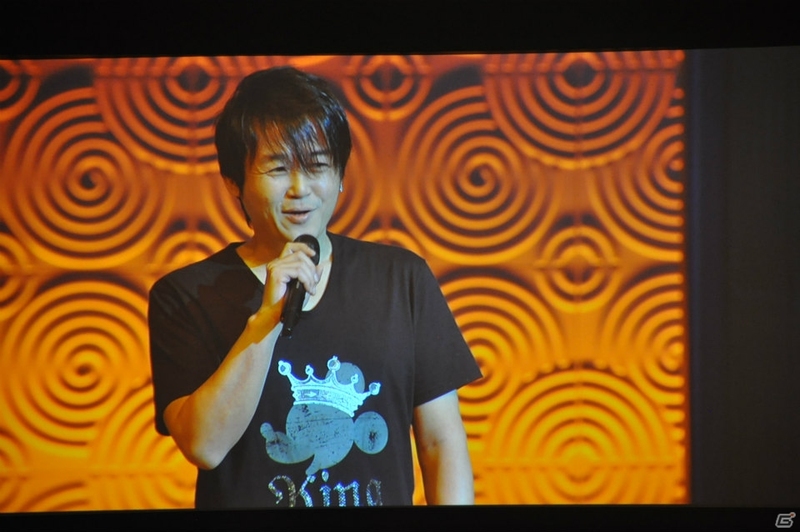 Uchiyama: I remember I was a very moody middle school student that was hit with resentment. (laughs) I remember pretending to imagine myself as Roxas while recording. Ten years have passed from the first game and your voice for Sora has changed. Have you thought about if Sora’s voice didn’t change? 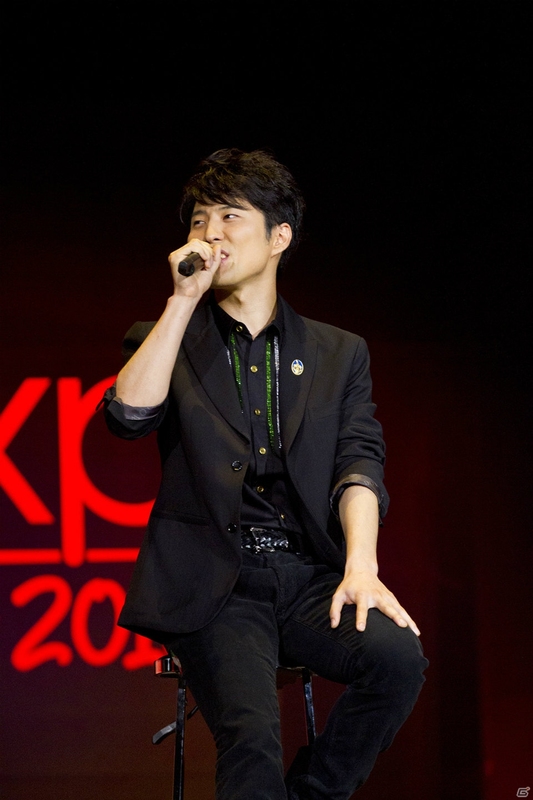 Irino: Firstly, I will naturally continue to be the voice actor. I like to think that Sora and I grew up at the same time and I want many people to enjoy the changes in Sora’s tone and voice. However this will never change Sora’s positive and bright attitude. It took a long time to get used to voicing Sora again after a long time since KINGDOM HEARTS II. Miyano: Ten years huh. Even when a large span of time has passed, I must play that role because they will hear a familiar voice when they hear it. I’ve also met the other cast members and talked with them about their experience. - When you are voice acting Riku, do you take into consideration the character development Riku undergoes with each title? 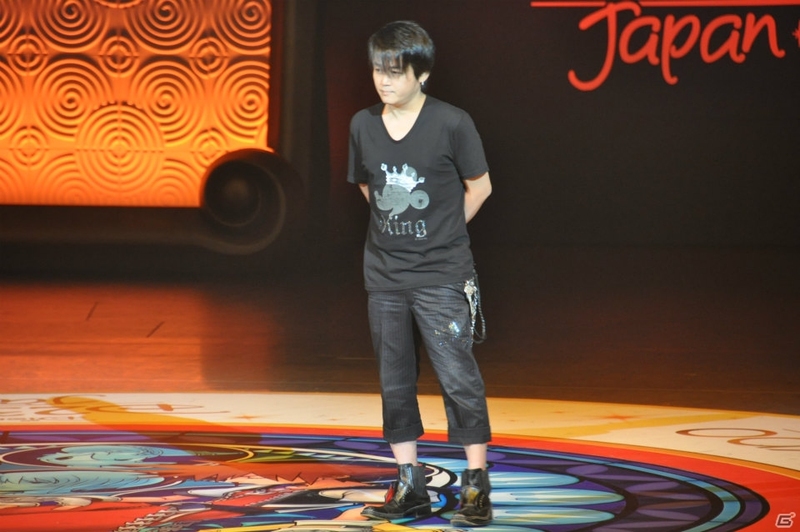 Miyano: There are many scenes in KINGDOM HEARTS such as Riku being curious of the outside world and envy and jealousy being exploited from the darkness of his heart. I directly considered his dark and painful thoughts and he would gradually go down into darkness. There were feelings of “redemption” when Riku saved Sora. That was his way of saying sorry to Sora. - What did you kept in mind when playing the roles of Roxas and Ventus? 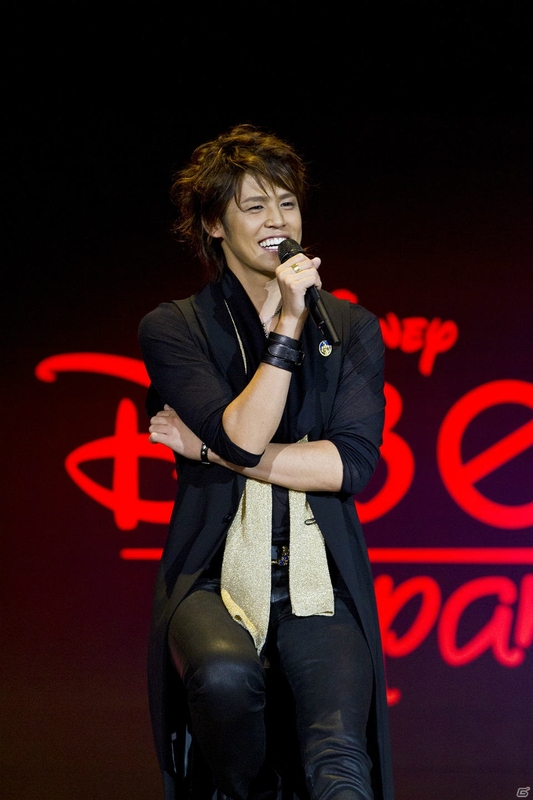 - Was it difficult singing the scenes for Sora in Atlantica? 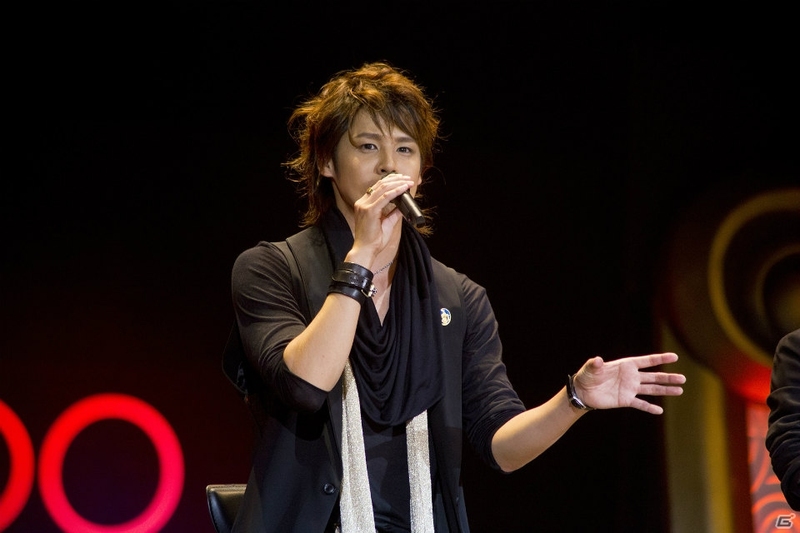 Irino: Singing as Sora and hitting the pitches of the song went pretty fine. I was really glad I could sing “Under the Sea”. I don’t know how many times I’ve done that scene! The newest trailer of KINGDOM HEARTS III was a surprise to visitors! Director Nomura published a new trailer from the production team for KINGDOM HEARTS III! 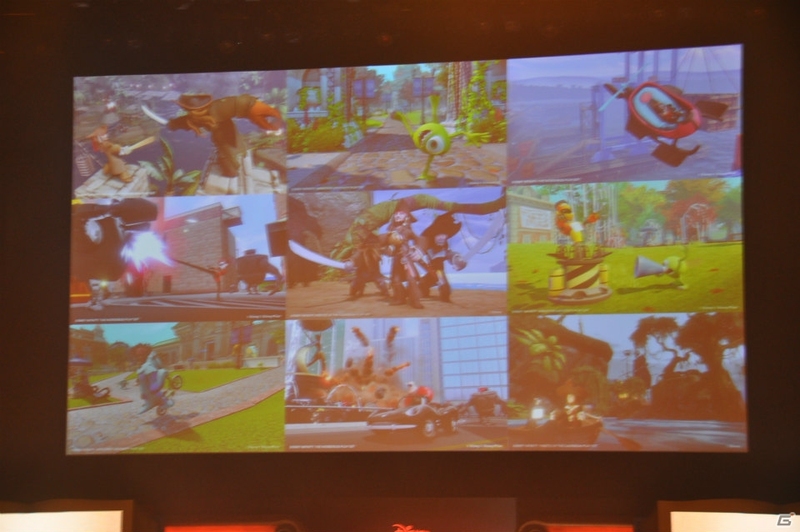 Although it’s impossible to describe everything, Sora’s new abilities were shown. 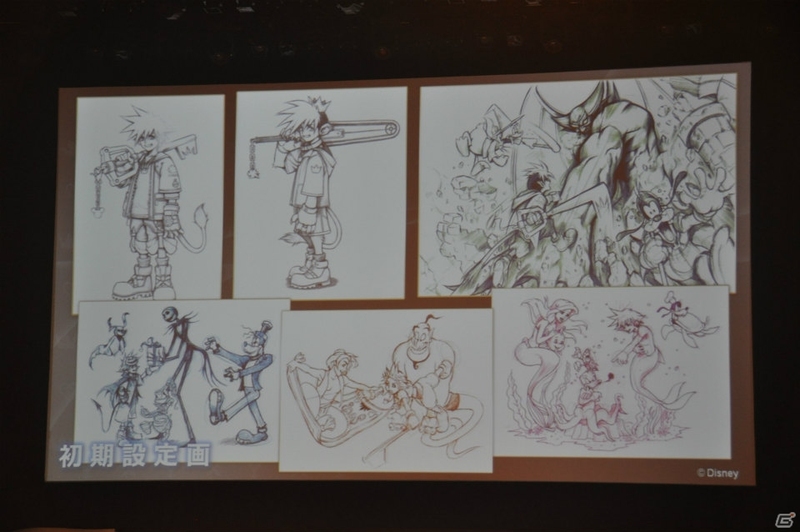 Sora can wield two guns in both of his hands, and use abilities that were in the motif of Disney attractions. 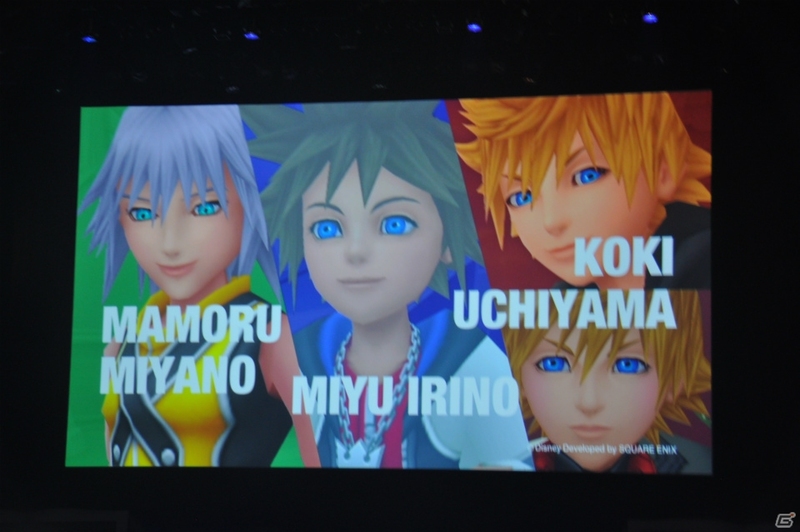 According to Nomura, he has revealed that he has already determined the story for Sora and Riku. 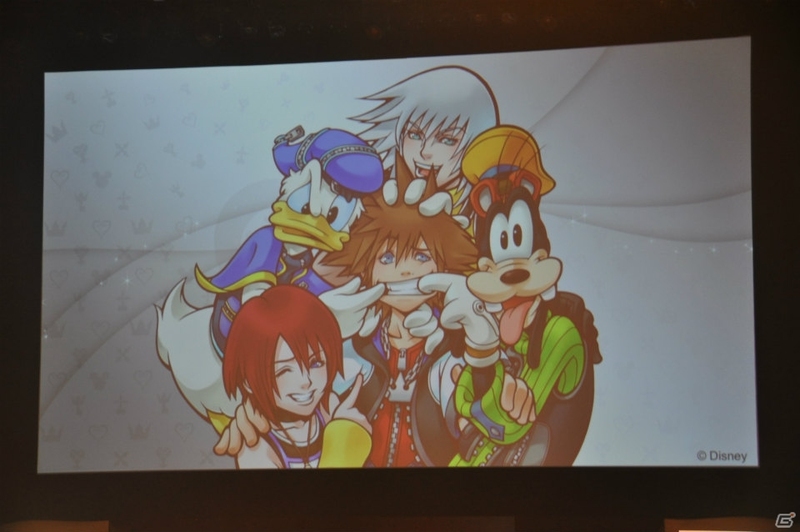 They will have new clothes in KINGDOM HEARTS III. Let’s hope more news will come. 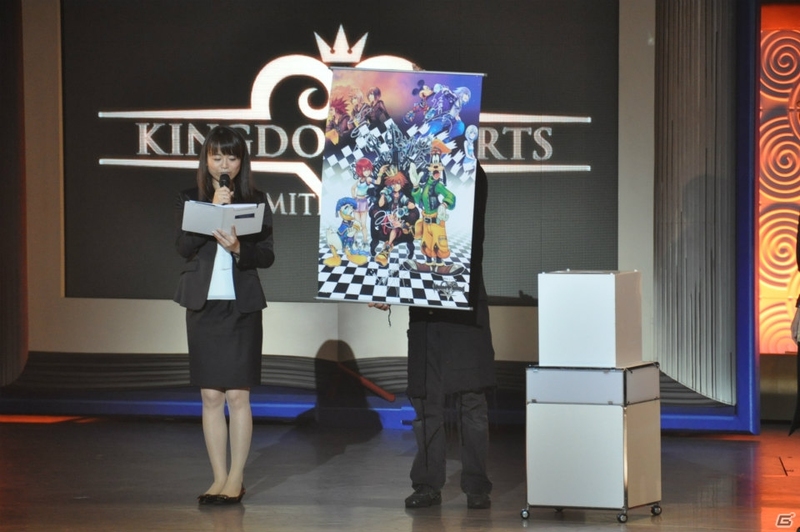 After the talk show about production stories and new information, wall scrolls autographed by Nomura were given as gifts at three venues. 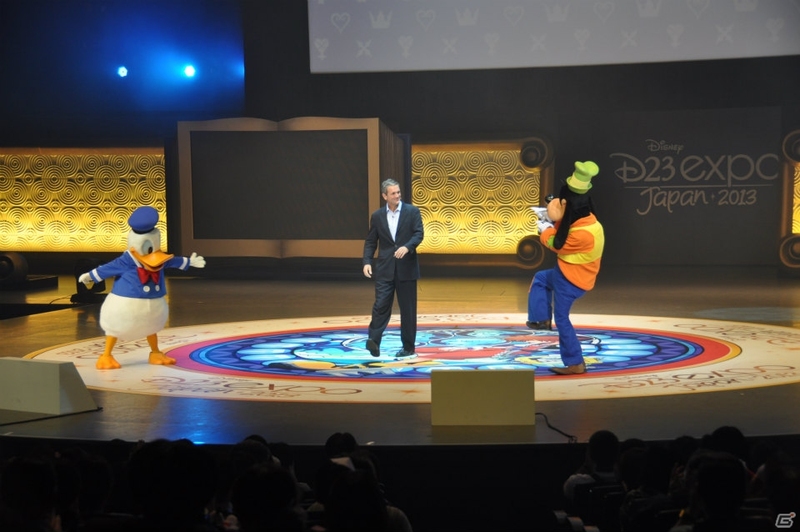 Also, Donald and Goofy wearing their KINGDOM HEARTS costumes appear. 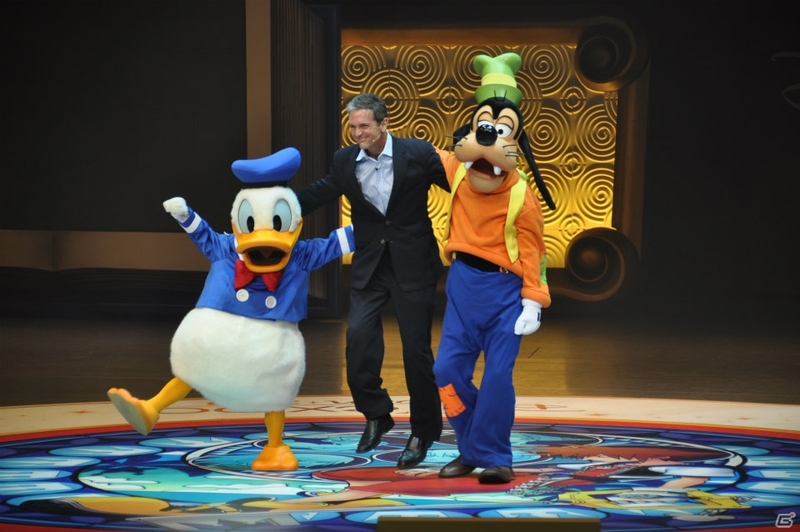 Kids in the hall yell, “Donald is here!” and “Goofy is cute!” at these popular characters. 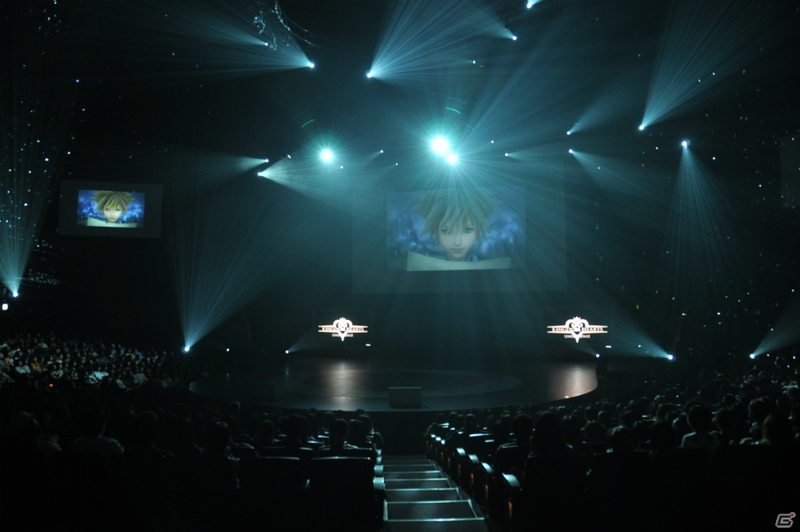 Then, after the last greeting has been made, Utada’s theme song, Simple and Clean, was played with many scenes from the series and the curtains close. They pulled this event together really well. Looked very stylish and had just about everything you could ever want from a convention. 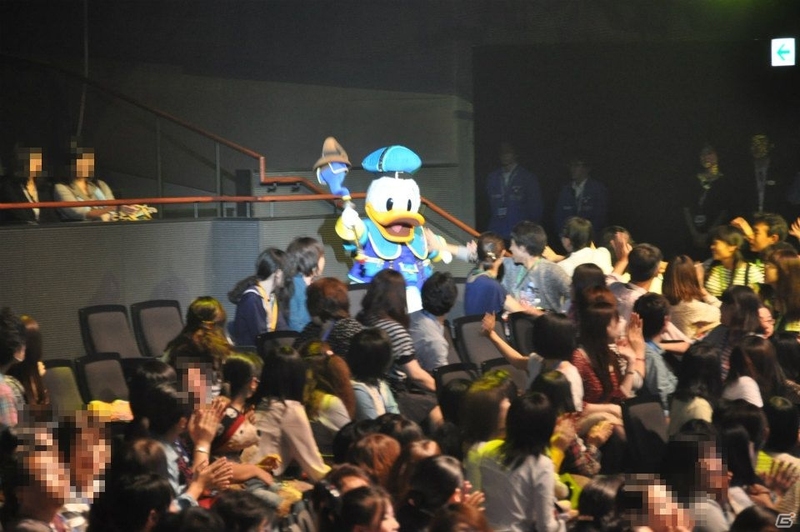 The creator, voice overs, interviews, an announcement, two new trailers, Donald and Goofy~ the list goes on. 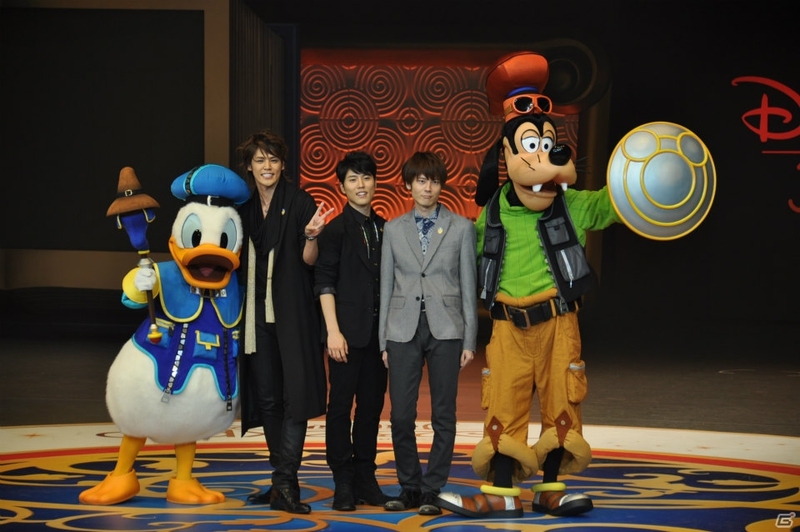 First time seeing a real Donald and Goofy dressed in KH attire! 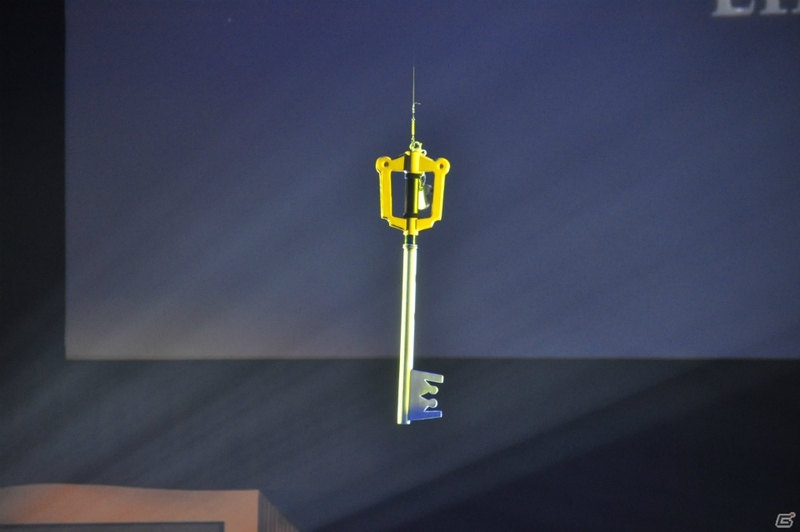 And that Keyblade descending from the heavens above? Totally feeling the magic. Also, seeing some of the main VA's make and appearance makes me hopeful that one day, the NA VA's too will appear together especially for a KH event. Although we had a awesome week full of new information I just have a feeling we will be in the dark for a while. I hope I'm wrong but it's just a feeling. 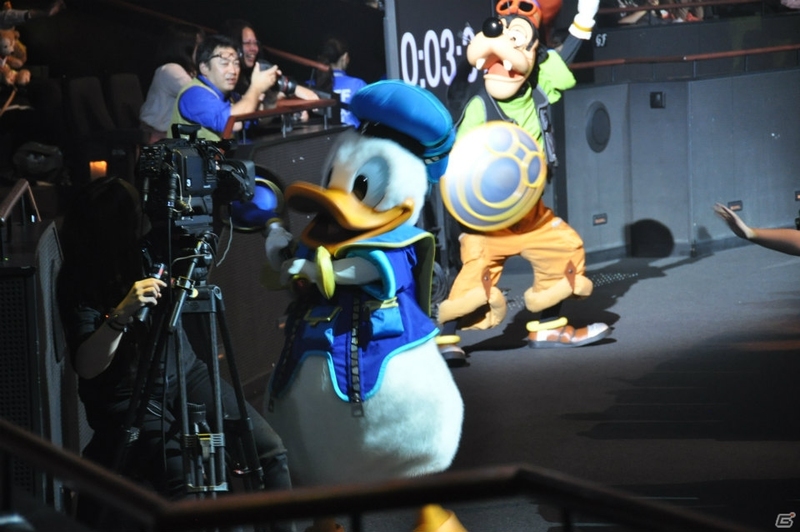 As far as we know, they were only able to meet up once at the KH2 launch event, but unfortunately that was more for press and less for the community. I'm getting the feeling that it was because in the Western world, voice actors are generally regarded not as highly as their Japanese counterparts. What I heard is that in Japan, being a seiyuu is actually a very prestigious matter. While that is true, most of the English voice actors are very well known (HJO, Christopher Lee, Leonard Nimoy, to name a few), and the original Disney cast are basically legends. Perhaps SENA will be able to host more fan events in the future. Hopefully the higher-ups within the company saw that recording of the thousands of people who showed up to the 1.5 launch event in LA and will give them more leeway. sweet sora's getting a new outfit. when they said they did they also mean donald and goofy too. that would be so weird to see them in something different after all these years. That's my hope as well. 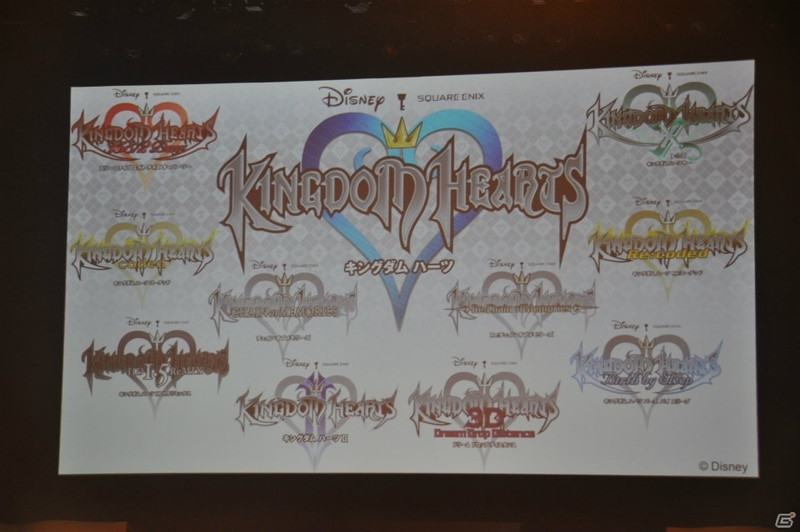 KH is a phenomenon, and it'd be a dream to have some of the main cast appear again in a panel that's catered more toward the community (more interaction with the crowd, Q&A session, generally like what was done by Miyano, Irino, and Uchiyama). I don't know how hard it is for it to happen, but I hope it's not bad of me to hope that they should do this for KH3 launch event. It's kind of unfortunate that people only associate HJO with The Sixth Sense and AI, or sometimes Forrest Gump, and nobody else. The general consensus about him seems to be that he disappeared after Cole and David, while in fact he had been Sora ever since that kid first made appearance in KH. There's no one to be blamed though... games aren't too highly regarded in our society, the idea of his role beyond David as Sora would only resonate with those within the gaming community and not with the general crowd. Right? It's hard to believe it's been over a decade now. I know, dont even feel close to a decade.